Enter the Silly Office Photo Contest! SupplyChainBrain is the world's most comprehensive supply chain management information resource. In addition to providing complete coverage of all fundamental supply chain principles, SupplyChainBrain identifies emerging trends, strategies and best practices, forward-thinking ideas, cutting-edge solutions and the latest innovations – and continues to write and report on these as they evolve and mature. Grab your camera – or search your archives – it is time for the 1st annual Verified silly office photo contest! 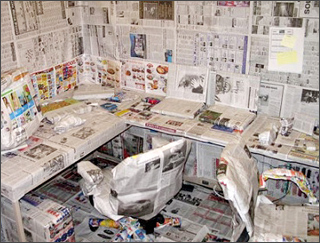 We are looking for photos that show your offices' silly side – however you want to do that. Send us your best silly photo and you could win a $20 Starbucks gift card. Photos should be of high resolution and high quality. Submit photos to e-newsletter@verifiedaudit.com before December 31, 2010. Write "Photo Contest" in the subject line. Include your name and contact information in the body of the email. The winning photo will be drawn at random from all entries. 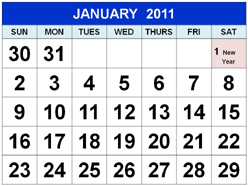 The deadline for entry is December 31, 2010. According to a compilation and analysis of current studies, Mintel predicts nine key consumer trends for the year ahead. In 2011, consumers are living for the long term with attitudes inspired by a changed value set, says the report, written by Alexandra Smith and Richard Cope. Said Smith, a global trends analyst at Mintel, "Consumer trends for 2011 are a legacy created by economics...and are set to influence the global consumer mindset for a long time to come." Renewed emphasis on prevention will drive consumers to think defensively. In the UK, 43% of consumers say "trying to add to my rainy day savings/emergency fund" is a priority for this year, up 15% from last year. In the U.S., a third of consumers say they're using debit rather than credit, and debit transactions are forecasted to have shown a rise by nearly 60% between 2000 and 2010. Consumers want to know what they're getting themselves into. So 2011 may see the need for brands to demonstrate how a product or service delivers long-term benefits or prevents problems down the road. For brick and mortar retailers, discounting is a no-win battle against the Internet. In the U.S., 35% of consumers say their choice of store is determined by special offers or discounts. In 2011, brands need to offer more than just retail and be a venue, not just a shop. Exclusivity and environment may be key aspects to engage consumers with real-life, not virtual, shopping experiences. With smartphones becoming the dominant mobile force, quick response and app technology will provide portals into unique experiences and improve our quality of life. In the U.S., sales of smartphones grew 82% from 2008 to 2010. As consumers are empowered, 2011 will see people take a deeper interest in where they are. Geography and status can be redefined through retail, presenting brands with an opportunity for increased location-based services, promotions and solutions. Economic uncertainty has changed the workplace and the meaning of job security for the foreseeable future. As a result, consumers will continue to question higher education's ROI, and alternative channels for learning will gain credibility. In 2011, we may see more lifelong learning in the workplace, corporate-sponsored degrees and companies investing in employees through education and training rather than salary or benefits. And, learning while doing, rather than learning in a lecture hall, with DIY education gaining steam. Women are earning and learning more than men, creating new gender roles in business and consumerism. In 2011, age is no longer an easy marker for lifestage. 2011 may see a counter trend to the "metrosexuality" of men in a "masculinization" of women. Implications for how brands market to women will be big, especially in sectors such as automobiles and sports. With men helping around the house more than ever, there may be an opportunity for brands to cater household products, as well as retail experiences. In the U.S. in 2008, 27% of men reported being the sole cleaner in their household; in 2010, that number jumped to 32%. People are working beyond retirement. With half of Americans having no retirement account, the number of over-65s working will reach nearly 20% by 2014. In the UK, 77% of over-55s plan to continue working after retirement age "in order to enjoy and prolong a better standard of living." In 2011, this group may prove an untapped market, affecting a number of consumer sectors. Vitality, energy and longevity will become key product qualities in the food and drink sector, while health and beauty messages may need to center on anti-aging properties. Attitude toward weight is polarizing, pitting the rise of the super-healthy against the eternal appeal of indulgence. In the UK, almost a quarter of women wear clothes in sizes 18 and over, more than 30% of UK children are now classed as overweight, and 34% of U.S. adults age 20 and over are obese. 2011 may see a wider array of products from portion control and more info on packaging to low-cost healthy fare and products to firm and salve chaffed or sagging skin. Modern city dwellers have a growing love of gardening and a need for nature and fresh, organic produce. In the U.S., 26% of Internet users purchased vegetable seeds in the past year, 19% bought vegetable/flower garden fertilizer and 27% said they like to grow vegetables at home. Also in the U.S., 40% of people with a garden agree that "growing fresh food to cook with" is important. In 2011, rural tourism, working farm holidays and garden leisure may benefit, while rising food and commodity prices may see a boost for seed sales as this trend develops. In an ever more digital era, automated technology machines are replacing people, creeping into new territories, including hospitals, libraries, pharmacies and the home. 2011 may see certain jobs permanently displaced by technology, including service jobs, not just manual or factory work. Who says Google doesn't treat journalism like a national treasure? The search giant — accused now and then of undermining traditional media models — is donating five million dollars to encourage innovation in digital journalism. Two million dollars will go directly to the Knight Foundation, while the remaining three million will go to fund international news-innovation efforts via a partnership with an as-yet-unannounced organization, the Nieman Journalism Lab reports. Said Chris Gaither, Google's senior manager for news industry relations, "Google has been pretty clear about the fact that we want to do our part to help fulfill the promise of journalism in the digital age." Calling the gift an "olive branch," Nieman notes: "It's also a way for the organization to put some money where its mouth is when it comes to its relations with journalism." The Knight Foundation is expected to devote about one million dollars of its endowment to the Knight News Challenge, which Nielsen dubs an "innovation contest." 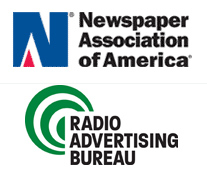 The results are in, and while the Newspaper Association of America and Radio Advertising Bureau are still adding the numbers, a quick glance over third-quarter results from big publishers and radio groups suggests their fortunes are diverging, following a long period of tandem decline. In short, radio is perking up as the economy enters a slow, tentative recovery — but newspapers are continuing to suffer losses. Most big radio groups reported single-digit growth in revenues in the third quarter compared to last year — modest, but noteworthy on the heels of two years of straight declines. At Clear Channel Radio, the nation's largest radio group, total revenues increased 6% from $703.2 million to $743 million, buoyed by increases in local and national ad revenues across categories including automotive, political, financial services and health care. CBS Radio's revenues grew 9%, although the company did not release specific revenue figures. Cumulus Media saw total revenues inch up 3.6% to $66.4 million, as Emmis radio revenues grew 4% to $51.7 million, and Entercom reported that third-quarter revenues increased 3% to $102.7 million. Taking the average, the big radio groups enjoyed average revenue growth of 5% in the third quarter of 2010 compared to 2009. Conversely, big newspaper publishers continued to struggle, with single-digit declines across the board — also noteworthy, since they are compounding several years of losses. Luckily, many own substantial broadcast TV businesses, which are buoying their bottom line. At the New York Times Co., total revenues slipped 2.7% to $554.3 million due to a 1% drop in ad revenues and a 4.8% drop in circulation. McClatchy saw total revenues decline 5.7% to $327.7 million in the third quarter, reflecting a 6.4% drop in ad revenues and a 3.8% drop in circulation. At Gannett, publishing revenues slipped 4.8% to $969.4 million, mostly due to a 5.1% drop in advertising revenue at the division, but total revenues were flat at $1.31 billion thanks to its TV business. Almost alone among major publishers, The Washington Post enjoyed a 5% increase in newspaper revenues, to $163.4 million, due mostly to increases in general advertising and digital revenues. The news was not much better at smaller publishers. A.H. Belo saw total revenues slip 6.1% in the third quarter, to $119.1 million; Media General saw its publishing division revenues shrink 7.6%, offset by an 18% increase in TV revenues. E.W. Scripps' newspaper revenues fell 3.8% to $100 million, offset by a 31% increase in TV revenues, to $78.5 million. Adding up all their growth rates, these companies saw newspaper revenues decline an average of 3.7% in the third quarter. Non-Paid Target Digital Replica circulation is defined as recipients of a non-paid digital replica via a publisher's website. In essence, this type of circulation is a "digital rack" whereby readers can pick up a digital replica for free. However, to qualify, readers must actively select to view the edition. For example, a reader must click on a button for access to the edition. A digital replica that launches automatically when a reader opens a website is not considered Non-paid Target Digital Replica circulation. Access is defined as reasonable assurance that the replica edition was viewed on a computer or other electronic device (iPad, mobile device, etc.) at least once during the on-sale date(s). Publisher must have documentation available to verify Total Visits and Total Unique Visits. This is generally available from the digital edition host's analytic reports. Only the Unique Visits may be reported as qualified circulation. If you have any questions about non-paid target digital replica, please contact Verified at 415-461-6006.